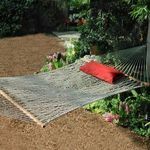 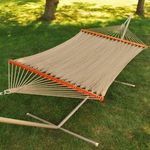 This beautifully constructed hammock and stand combination can be yours to enjoy for years to come. 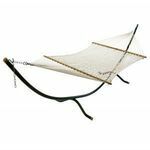 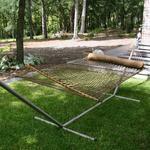 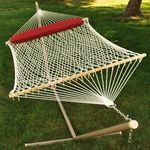 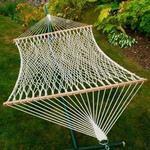 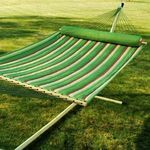 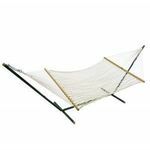 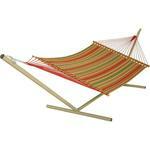 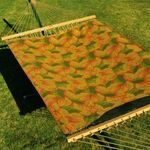 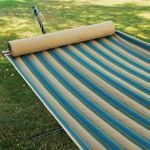 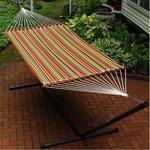 Hammock bed is made out of weather resistent spun polyester, hardwood spreader bar, and poly rope clew ends. 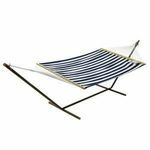 Stand is constructed from 100% tubular steel. Use either indoors or outdoors. 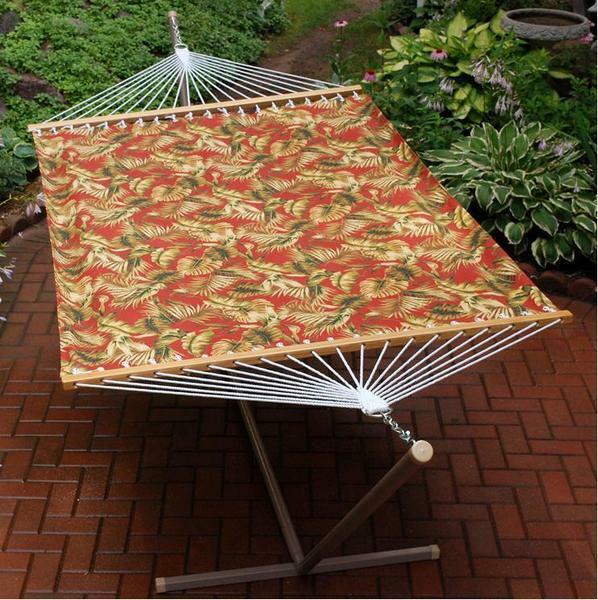 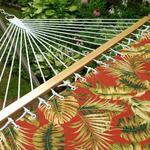 Either place, you'll enjoy the look, feel, and comfort of this fabric hammock combination.